Exclusive High quality vinyl stickers measuring 1" x 6"
These UV coated, weather proof, self-adhesive decals have a 3-5 year effective capability under the worst of conditions. Put them on your helmet, your truck, your neighbor's cat, put them everywhere! 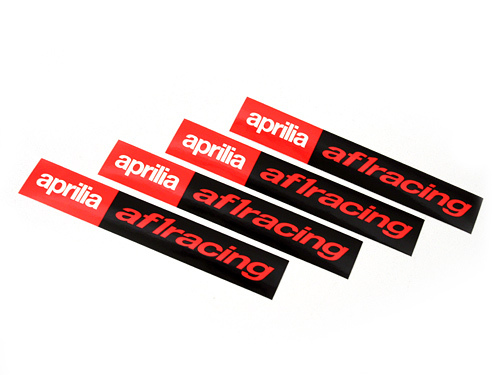 Note: As the official Aprilia red has changed over the years, the hue of these decals may not exactly match logo applications on Aprilia motorcycles.